For people living in malaria-prone areas, the buzz of a mosquito is more than just an annoyance. It’s a sound that can incite fear of the disease. Mariam from Burkina Faso used to be scared of her children falling sick with malaria. Then Compassion stepped in. Caused by parasites that are transmitted to people through the bites of infected mosquitos, malaria puts nearly half the world’s population at risk. Because of this, the tiny insect is thought to be the most hated creature on the planet. In 2015, there were an estimated 214 million malaria cases and some 438,000 malaria deaths. For people living in Sub-Saharan Africa, the threat of malaria is the highest in the world. This year alone, the region—which includes Burkina Faso—was home to 89 per cent of malaria cases and 91 per cent of malaria deaths globally. Despite this, deaths caused by malaria are falling due to increased prevention measures, which include sleeping under an insecticide-treated mosquito net. In one of the most malaria-affected districts in Bobo-Dioulasso, Burkina Faso, Compassion is helping to protect children and their families from the deadly disease. “We work to give the children the opportunity to stay healthy in order to continue the development cycle our program offers them,” says Jonas Sawadogo, a staff member from the child development centre. To ensure better resilience to the malaria endemic, Jonas and the rest of the staff decided to tackle the root of the problem through prevention, focusing on education and insecticide-treated mosquito nets. Previously, mothers like Mariam worried about their children and the high costs of hospital visits. Now their hearts are at peace as their children sleep soundly under mosquito nets provided by Compassion. “These nets have done immense good to me and my family,” says Mariam. The buzz of a mosquito is no longer as terrifying. 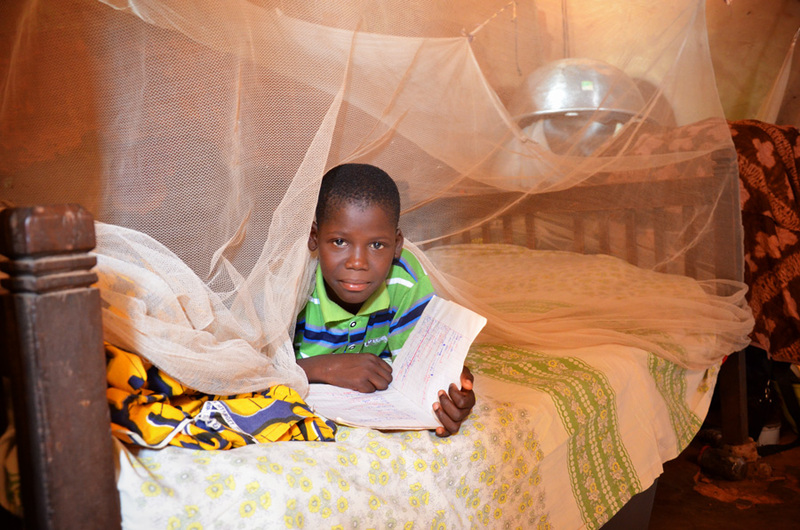 Buy a Mosquito Netand help protect a family from the threat of malaria.